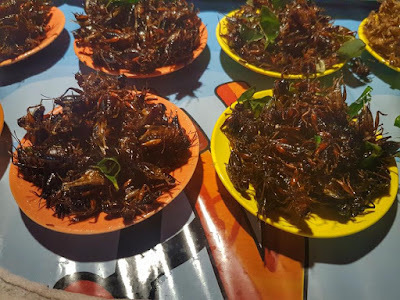 Eating bugs in the Philippines is simply not enough, you've got to try eating cockroaches, worms and flies in Thailand. 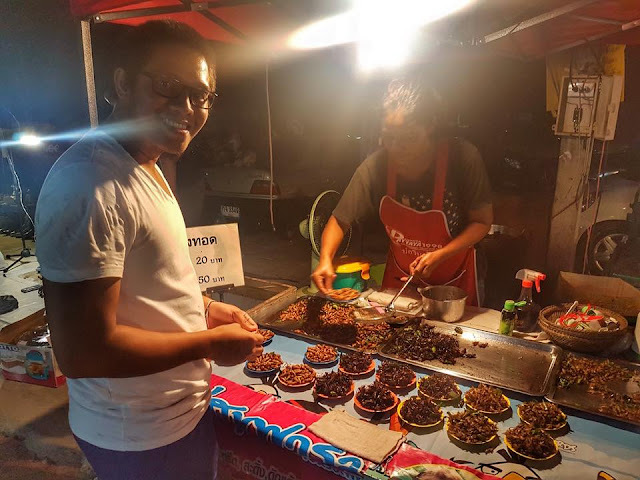 I've tried all these three in Thailand. These tasty morsels are around 10-50 Baht per plate (roughly Php15-75) and its worth to try these in Thailand. You only live once they say.